Tesla’s stock has become ‘somewhat of an Elon sentiment gauge,” RBC Capital Markets told clients Monday. CEO Elon Musk has amassed a cult-like following on Twitter – and can often move the stock in 140 characters. 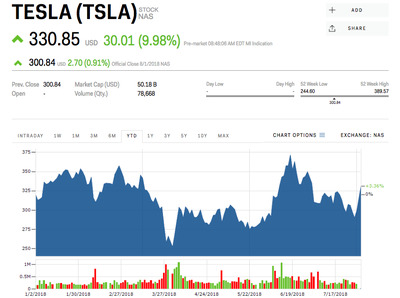 But also fuelling the rise was an apology from CEO Elon Musk himself to analysts he had previously interrupted for “boring” and “boneheaded” questions – and the apology could have affected the stock more than you might expect. “Elon’s tone was generally improved vs. last quarter, which may seem trivial, but TSLA stock has become somewhat of an Elon sentiment gauge,” RBC Capital Markets analyst Joseph Spak told clients in a note Thursday morning. Spak attempted to ask Musk about Model 3 cancellations on Tesla’s first-quarter earnings call, but was cut-off in favour of a question from YouTube. 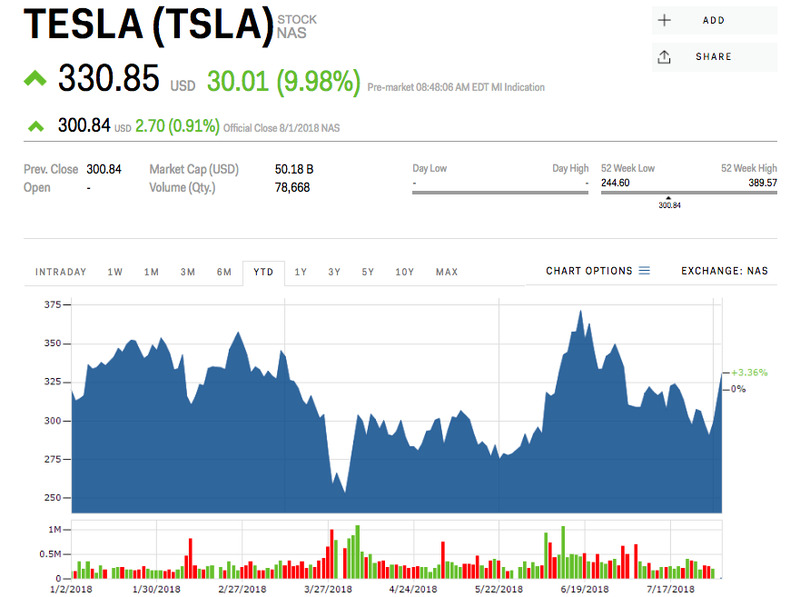 Personality cult aside, Spak says Tesla’s earnings on Wednesday leave some questions in his mind, but were in no doubt “a better quarter” with “a number of positives” that led him to raise his target price from $US280 to $US315 – about 4.5% below where shares were set to open Thursday. Tesla rallied nearly 10% following the earnings release, and is set to open around $US330 Thursday morning. Shares are up 3.4% this year.